All hydraulic systems use a mechanism to create system flow (motion) and resistance or stoppage of that flow creates pressure (force). The combination of flow and pressure in a hydraulic system are the basis for work. In most applications, pumps are used for this purpose, and their function is to convert mechanical energy to fluid energy. The pumps can be hand-operated or driven by electric motors, internal combustion engines, turbines, etc., that provide rotative or reciprocating motion. Gear pumps are generally simple in design, lower maintenance, cheaper, and compact compared to vane and piston designs. They typically operate at low pressures (500–3000 psi or 3500–21,000 kPa), have fair to good efficiency, can tolerate high contamination, and can be noisy. 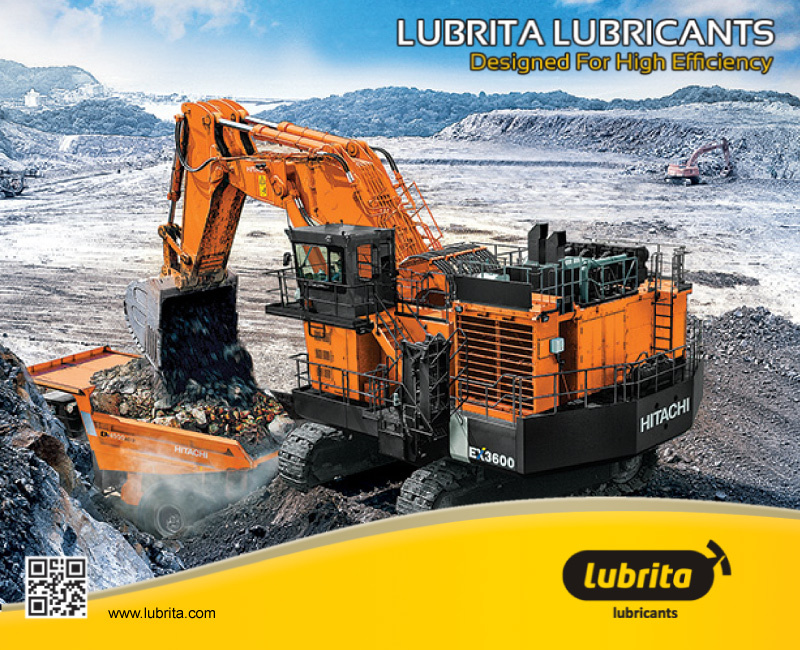 Lubrication regimes are boundary lubrication for low speed and hydrodynamic lubrication for high speed. Fluid requirements include the use of antiwear additives if the original equipment manufacturer (OEM) requires it. Significant effort is being devoted to the development of “quiet pumps” of all designs to aid in overall noise reduction programs for industry. There are four types of gear pumps: external, internal, ring gear, and screw. Gear pumps are constant discharge types, and they generate flow carrying fluid from the inlet to the outlet between the tooth spaces of the gears. The fluid pumping chambers are formed between the gears, the housing, and the side plates. The hydraulic fluid serves to help seal close clearances as well lubricating the meshing gears. Small amounts of bearing wear could result in contact of the gears with the housings or side plates, thereby reducing the efficiency of the pump. Minimizing wear is critical to optimizing pump performance. Vane pumps can be of fixed or variable displacement design. They typically operate at moderate pressures (1000–4000 psi or 7000–27,500 kPa) and are efficient. They are sensitive to contamination because of the small clearances between the vanes and the cam ring. The lubrication regime is either boundary or mixed, not hydrodynamic. Hydraulic fluid requirements for this application include the use of antiwear additives and maintaining overall good oil cleanliness. Radial and axial piston pumps are positive displacement pumps used where operating pressures are high (3000–10,000 psi or 21,000–70,000 kPa), and very accurate control of discharge flow is needed. Piston pumps can be either fixed or variable displacement, where the volume and pressure can be varied by use of a tilting plate. They are very efficient, but are generally more expensive than other pumps and, in some cases, are considered to be noisy. They generally run in the hydrodynamic/mixed lubrication regime, and hydraulic fluid requirements for this pump include good oxidation stability, hydrolytic stability, and antiwear. Although gear and vane type pumps can be designed to work with higher pressures, the life expectancy of piston pumps in severe service will be greater, making them cost-effective. The key advantages of variable displacement piston pumps include having infinitely adjustable flow along with being reversible. This means that the pump can act as a pump or a hydraulic motor if the direction of flow is changed. Circuits using these pumps can be simplified, as reversing valves are not needed. With reversing pumps, rapidly moving masses can be smoothly decelerated, reversed, and accelerated without system shocks. Radial piston pumps encompass two designs: in one, a rotating eccentric shaft causes the pistons to reciprocate within their cylinders; the second one uses an eccentrically mounted rotating cylinder block where the pistons and block rotate within a rigid external ring. In both designs, the reciprocating movement is perpendicular to shaft rotation. This reciprocating radial motion of the pistons within their respective cylinders creates a reduced pressure at the suction drawing fluid. Vane pump. In this constant volume pump, the vanes are forced by contact with the cam ring to slide in and out of the rotor slots. The vanes are held in contact with the cam ring by centrifugal force and by oil pressure on their inner edges. Suction ports are located where the wall of the cam ring recedes from the hub because the increasing volume between the vanes at these points results in reduced pressure. Discharge ports are placed where the wall of the ring approaches the hub. At these points, decreasing volume between the vanes causes pressure to increase. Axial piston type pumps refer to both the swashplate (or wobble plate) and the bent axis designs. Both designs are positive displacement and are available in fixed and variable volume outputs. Axial piston pumps operate based on the same design principles as radial piston pumps except that the pump pistons reciprocate parallel to the rotor axis. The angle between the cylinder block and the driving flange determines the volume output (along with speed and cylinder diameter). Piston pumps, whether radial or axial, will be designed with an odd number of pistons. The odd number of pistons reduces the flow and pressure pulsations in the discharge when individual piston flows are added together. The oil reservoir is also a very important component of the hydraulic system. It contains the oil supply, provides radiant and convection cooling, allows solid contamination and water to drop out, and helps reduce undesirable entrained air from circulating to the critical control components. In addition, in relation to oil levels and pump location, the reservoir facilitates easy flow of the oil to the pump suction, which reduces the potential for cavitation or starvation conditions. In order to achieve this, the reservoir needs certain design features such as a baffle plate, drain plug, fluid level window, strainer, system-sump vent, correctly located fluid pickup, and fluid return pipes.